With free agency tipping off July 1, the NBA is about to look a lot different. The Crossover is tracking every move this summer and providing all the latest details and analysis. With the NBA Finals and Draft in the books, it's time to turn our attention to free agency, which tips off July 1. 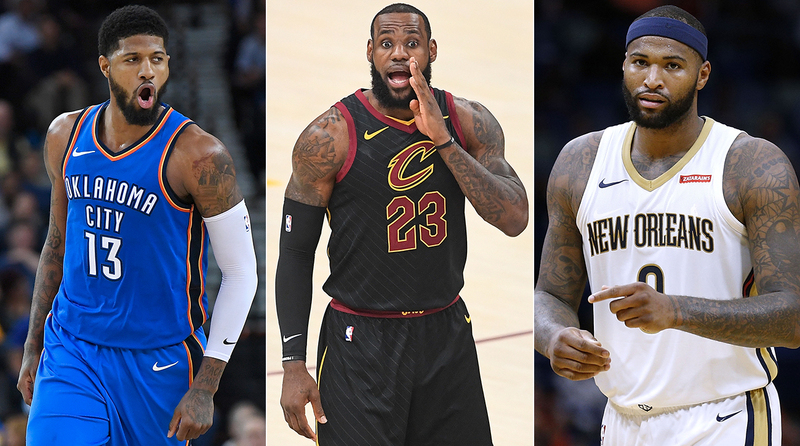 With big names like LeBron James, Paul George and DeMarcus Cousins on the market, the NBA could look drastically different next year as teams mount runs to dethrone the Warriors. The Crossover is here to track every move this summer and provide all the latest details and analysis. While free agency moves will begin to be reported on midnight July 1, deals can't become official until July 6. Check out The Crossover's rankings of the top 50 free agents this offseason, as well as our predictions and free-agent matchmaker. Be sure to check back with The Crossover's homepage for more free-agent rumors and news. • Randle, Julius, Pelicans: Randle joins Pelicans on two-year deal. • Stephenson, Lance, Lakers: Joins LeBron in L.A.